Remflex gaskets are made from a unique graphite material that creates a tight seal ever time. 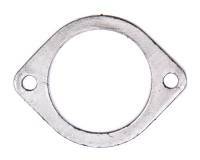 These gaskets are available for many OE and custom applications. Remflex?s unique flexible graphite material has been proven for more than 30 years in industrial applications, where temperatures routinely exceed 2,000 degrees?day after day, week after week, year after year. Now, we?re bringing this technology to enthusiasts of all kinds to eliminate exhaust leaks for good! Whether you have an old pick-up that needs a manifold gasket, or a race car with custom-built headers, you can be assured that Remflex exhaust gaskets will work properly the first time, every time. Located near the base of beautiful Mount Rainier in Washington State, Remflex Inc. is a family-owned operation. Our focus has always been to put customers first in order to maintain the loyalty that we strive so hard to earn. It is our commitment to treat every customer the way we would want to be treated ourselves and it shows with every order, every day.